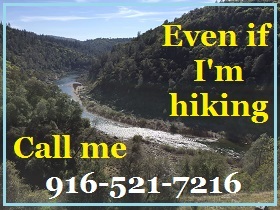 Home » Covered California » Did Covered California Designate You An American Indian Or Alaska Native? Many individuals and families have been designated American Indians or Alaska Natives after Medi-Cal has touched their Covered California accounts. Many consumers who go through the renewal process or enroll in a health plan for 2019 are surprised to learn that Covered California has designated them or their family members American Indian or Alaska Natives. Unfortunately, this is not the only odd change to a consumer’s application for health insurance with Covered California. But many of the new ethnicity or missing application data is not entirely the fault of Covered California. Virtually every renewal I have worked on for 2019 has requested additional information. Specifically, Covered California wants consumers to actively tell them if they have been offered any other health insurance and if they qualify for Medicare. When you navigate to those pages the conditions or selections are blank and must be entered. To a certain extent this is a prudent information gathering step. Sometimes household members have qualified for Medicare (you don’t have to be 65 to be awarded Medicare) or been offered other insurance through work or school. After Medi-Cal updated Melania’s income, her selections for health insurance and COBRA had vanished in her Covered California account. 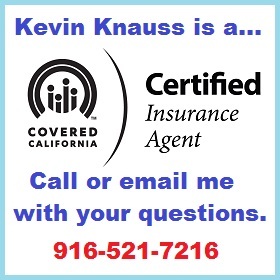 Recently a consumer contacted me with issues regarding her Covered California account. She had tried to enroll for 2019 but ended up being qualified for Medi-Cal in 2018. She didn’t need Med-Cal as she had other health insurance. Unfortunately, the only way for Medi-Cal to release or terminate her 2018 Medi-Cal eligibility was to change her income to the correct amount. As I told the consumer, we will have to scrub the application AFTER Medi-Cal touches it because things change they don’t touch. Melania never knew she was an American Indian or Alaska Native with no federally recognize tribe. Melania never indicated she was an American Indian or Alaska Native. This was triggered by Medi-Cal. It is fairly easy to Report a Change through the Covered California account and correct the inaccurate information that was triggered by Medi-Cal touching the account. I don’t think a person actually changed these conditions. I believe it is a data mismatch between fields in the SAWS program and CalHEERS program that is creating the issue. The problem is that some of these changes in conditions or erasing information can affect a family’s eligibility for the ACA premium tax subsidy. Medi-Cal properly changed Melania’s monthly income for 2018. The income section, which was manually done by a Medi-Cal case worker, was actually handled properly. They changed the current income to void a Medi-Cal eligibility determination. But the Covered California system does not show the household income for the application year. It shows the current income, which is misleading. For 2019 we used the adjusting tool to change the Projected Annual Income lower. This setting overrides the current monthly income. But when a consumer reviews the application, it looks like they are either making too much or too little. Covered California will not necessarily display the correct Projected Annual Income adjustment in the Review Application feature. The income estimate is just one of the many little items in Covered California that are date sensitive and may not accurately reflect the enrollment year, which is usually in the future. The default in Covered California is the present or current situation. Those nagging little confusing issues aside, the odd changes triggered by Medi-Cal can be more problematic. The basic rule of thumb is that if Medi-Cal touches or adjusts a Covered California application, it needs to be thoroughly scrubbed or reviewed for accuracy. 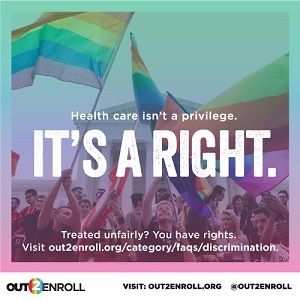 While many individuals and families are being passively renewed into health plans for 2019, it is better to actively renew so the consumer or agent can check for erroneous answers, ethnicity, or other anomalies in the system that may prevent or reduce the Advance Premium Tax Credit subsidy.